The International Forestry Students’ Association (IFSA) is the global network for forestry students and students of related sciences, its members are organized in 78 institutions in over 50 countries. IFSA provides a platform for international networking, to enhance formal education, promote cultural understanding and to provide opportunities to gain practical experiences with a wider and more global perspective. To improve services IFSA provides to its members and to foster the continuity of the network, the need for regular professional support has been identified by the IFSA officials during past meetings. To reach this goal possible partner organizations have been screened. After the annual International Forestry Students’ Symposium (IFSS) held in August 2012, IUFRO expressed its interest to collaborate on this specific request and thus taking the existing partnership on an even higher level. Since then both organizations have put a lot of effort in the creation of a joint full-time position. A letter of agreement which provides the legal foundation for the position, hosted by the IUFRO Secretariat in Vienna, Austria, was established. 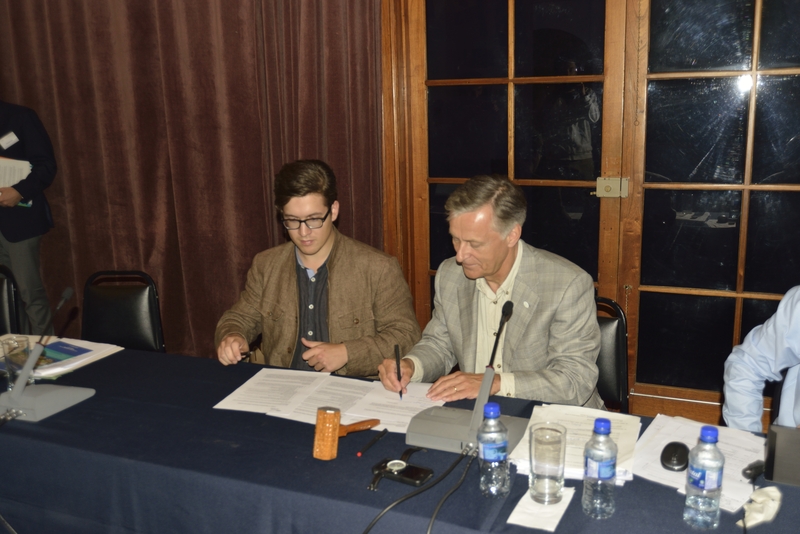 Finally the agreement was duly signed by the IFSA President, Daniel Schraik, and the IUFRO President, Niels Elers Koch, on the occasion of the 52nd IUFRO Board Meeting in Turrialba on the 11th of June 2013. This is for both organizations a great step on the one hand increasing the continuity of IFSA and at the same time generating constant input of young talent to IUFRO.